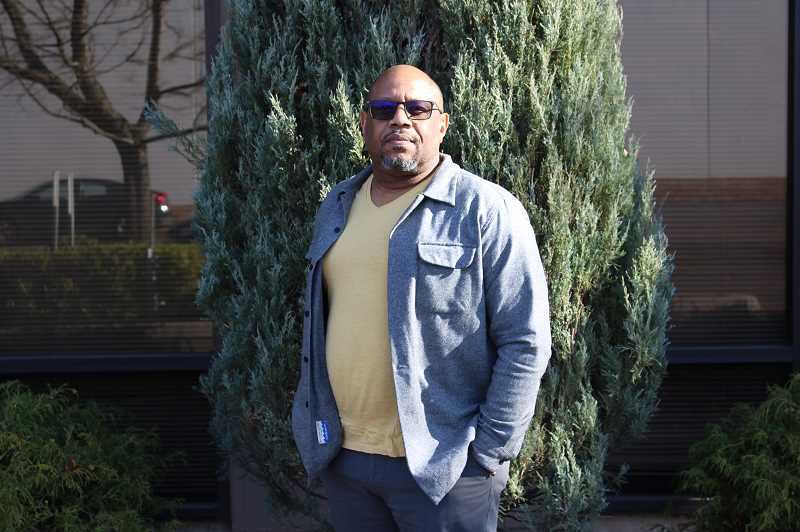 During a meeting last October, Walt Williams asked members of the Rivergrove community a flurry of rhetorical questions. "I said, 'What kind of community do we want to be? What do we want the city to be known for? What do you want that to look like? The room went silent," Williams recalls. The silence was natural, he says now. He hoped listeners would ruminate on the questions, and he didn't expect a response. "To me it was rhetorical," he says. "But I got responses. People came to me and said, 'I felt that question.'" As the new mayor of Rivergrove, Williams says he hopes to continue to evoke that kind of reflection and lead the community in a considered direction. Williams, along with new Councilors Dave Pierce and Jeff Williams, ran unopposed in November and the council agreed to appoint Williams as mayor. They were all sworn in on Jan. 20, with Williams replacing former Mayor Heather Kibbey. "Every single person on the City Council is competent, is passionate about the city, and any one of them could have been mayor. They voted for me, though, and I'm honored," Williams says. "I'm trying not to mess up the job and do the best I can." The City of Rivergrove is located near Lake Oswego and Tualatin and next to the Tualatin River. According to the U.S. census, it had a population of approximately 370 residents in 2017. "We get to affect our own change. We get to accept our own ordinances," Williams says about the benefits of Rivergrove being a small city rather than part of a bigger city. "We have more control over that instead of a bureaucratic one that serves only a portion of the community." Williams served as a flight engineer and counter-terrorist instructor in the U.S. Navy before embarking on a career in automation and electronics. He bounced around the country pursuing opportunities, eventually finding a home in the Portland area. He currently works at Simplex Aerospace, which manufactures aviation equipment. Williams moved to Rivergrove in 2014 after previously living in Lake Oswego. His first foray into the political arena occured after the Rivergrove City Council called neighbors into a meeting to discuss a new development near his property. Williams raised concerns that a road paving stipulated by the development would cause rainwater to trickle into his garage. To his dismay, that's what happened. "The water ran down into my garage, flooding my garage when they did that," Whitman says. "I brought that up to the City Council several times, the mayor, the developer. It was kind of a, 'Hey, go away kid; you're bothering me' mentality. "If you don't like that your voice is not heard," he decided, "then you need to get involved more seriously." After that, Williams began attending more meetings and later joined the City's Planning Commission. While he says meetings were civil and that he appreciates residents for not letting disagreements fester, he noticed some frustration and antagonism between the council and residents. "I could see both sides of it," Williams says. "I thought maybe I could help." So, with encouragement from Kibbey, Williams ran for City Council last year. During the campaign, he knocked on doors throughout the community and was surprised that people he had never met knew his name. He also ran into former councilors. "Some of them were like, 'Oh, it's your turn,' because they had been on City Council before and they had a commitment to the city," Williams says. "It's passing that torch." Williams says sparking more citizen involvement will be key to his term. He plans to organize town halls, ice cream socials and events in the park, and hand out flyers to community members to keep them engaged. "It's all about involvement," he says. "If you have 5 percent of citizens showing up to City Council and making decisions for the rest of them, you are not really getting the right voice." As for policy objectives, he hopes to foster safer connections from the city's main thoroughfare, Childs Road, to local parks and schools. This could include establishing a Safe Route To School to River Grove Elementary School and working to lower the speed limit. He also would like to establish easier connections between the two city parks, Heritage Park and Lloyd Minor Park. "People speed on Childs quite a bit," Williams says. "We want to slow that down. I've spoken with the (River Grove) Elementary School principal, and he shared with me that that's a big concern for them. It's a shared responsibility between Rivergrove and Lake Oswego. We need to come to terms on that. "At the end of the day," he adds, "the only things that we can truly affect and truly help are our children and the people that are coming behind us. We have to leave behind something." Williams also brings up the possibility of assisting community members whose property may be distressed or have overwrought vegetation. "Someone is inhabiting it (the home), but maybe they are going through a tough time," Williams says. "Can we help them?" Also, Williams would like to find a way to add upgraded benches and play structures in the parks. Maintaining roads is a priority, too. For a municipality that doesn't receive tax revenue, funding can be a major challenge. But Williams says the City will look into grant opportunities and try to convince citizens to donate. "As a City Council, our job is to present to the public ... 'Here are the things we want to accomplish in the next couple years. Do we have your support?' Get the citizens involved and saying ... 'We do need your support in raising funds.'" Believing listening to be a lost art, Williams says he will try to take in as many perspectives as he can as he settles into his new role. "I try to put my vision secondary to the vision of the city," he says. "I think they already know what they want, and I want to help them develop that."